Congratulations to dedicated Town of Ridgefield employee Karen Gaudian on being named Employee of the Year! As Municipal Agent for the Elderly, Gaudian works alongside Tony Phillips in our Social Services Department. First Selectman Rudy Marconi remarked, "Karen was chosen because of her dedication and work above and beyond what would be expected from an employee. I often will see Karen either early in the morning or long after other employees have gone home." A wide array of community social work services are offered to Ridgefield residents through the Department. 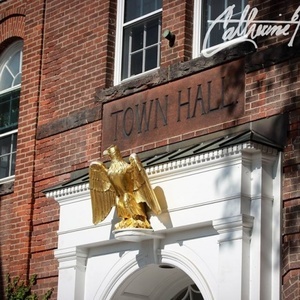 They provide information and referral services to Ridgefield residents as well as to assist them in applying for local, State and Federal benefit programs for which they may qualify. "Karen's dedication to the Town and her clients is why she has received this year's recognition," says Marconi.